I have been working in public relations since 1999 and have been an adjunct professor at Columbia University’s Graduate School of Journalism since 2012. I am also an adjunct instructor of public relations, journalism and social media at NYU's School of Professional Studies. I will bring the media to you while developing strategies that take your story to the next level. I offer quality experience and journalistic expertise for a variety of public relations needs. I also have long-term media relationships that are essential in delivering the exposure you need, and because of my wide range of national and international contacts, I can connect you with key media outlets for maximum attention. I ensure success through sound strategies, focused execution and collaboration with a broad network of affiliates. My background has enabled me to secure numerous interviews with prestigious outlets such as The New York Times, Washington Post, Wall Street Journal, Associated Press, Reuters, MarketWatch, BBC, ABC, CBS, NBC, CNBC, CNN, FOX News, MSNBC, PBS, BET, Al Jazeera, CTV and France24, to name a few. My media outreach has been responsible for a number of New York Times bestsellers. M. Sliwa Public Relations and Freedom Now Communications, Inc.
Aleta St. James is an international leader in agelessness, defying limitations and fulfilling dreams, as well as the successful author of the book Life Shift: Let Go and Live Your Dream. Throughout her incredible 40-plus-year career Aleta has been described as the “Indiana Jones of the soul.” Aleta has traversed the globe in her own spiritual quest, sharing her extraordinary healing gifts, infectious spirit, and celebrated achievements to anyone who is looking to experience more joy and happiness in their life. In 2004, making worldwide news, Aleta became the first woman in America to give birth to twins at age 57. I promoted Ms. St. James' book Life Shift as well as the birth of her twins at 57 garnering numerous cover stories and television segments in national and international mainstream media outlets. Manute Bol was a Sudanese-born American basketball player and political activist. Listed at 7 ft 7 in (2.31 m) tall, he was the tallest player in the history of the National Basketball Association. He was officially measured and listed at 7 feet 6 3⁄4 inches (2.305 m) tall in the Guinness Book of World Records. He is believed to have been born on October 16, 1962, in either Turalei or Gogrial, Sudan (now South Sudan). He was the son of a Dinka tribal elder who gave him the name "Manute," which means "special blessing." Mr. Bol played for two colleges and four NBA teams over his career. A center, he was known as a specialist player; he was considered among the best shot-blockers in the history of the sport, but other aspects of his game were considered fairly weak. Over the course of his career, Mr. Bol blocked more shots than he scored points, making him the only NBA player ever to do so. He is second all-time in NBA history in terms of average blocked shots per game and ranks 15th on the career blocks list. I arranged for interviews for Mr. Bol during his participation in a 300-mile walk from NY to DC to shed light on the genocide and slavery in Sudan. I later coordinated media coverage of Mr. Bol's funeral at the Washington National Cathedral in DC, as well as the media for the five-year anniversary of his death. U.S. Secret Service agent's book made the New York Times bestseller list. 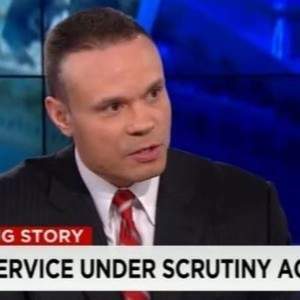 My client, Dan Bongino, is a former Secret Service agent who served in the security details of both Presidents Bush and Obama. I lead an extensive media campaign for Mr. Bongino's book, garnering numerous interviews for him with top-tier television, radio and print media. The History of Abraham Lincoln's Coles County Farm. Forward by internationally recognized Lincoln scholar, Dr. Wayne C. Temple. Includes over 35 images including many by famed Lincoln illustrator Lloyd Ostendorf. A guided meditation creating wholeness and fulfillment in your life Aleta St. James, gifted energy healer and dynamic success coach, guides you on a musical journey that will introduce, connect and harmonize your Yin (feminine) and Yang (masculine) forces. The consultation I had with Maria was filled with value and useful actionable help. I highly recommend a consultation with her if you have questions about publicity/marketing your brand. book head. drinker. wrangler &amp; mangler of words. wannabe poet. freelance book publicist. author manager. I am a public relations professional with a specialty in books. I work for publishers, often on university press non fiction titles. 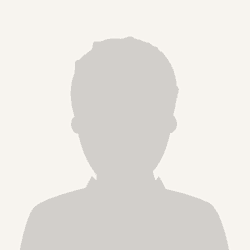 Join Reedsy to request a free quote from Maria and over 1,000 similar profiles.